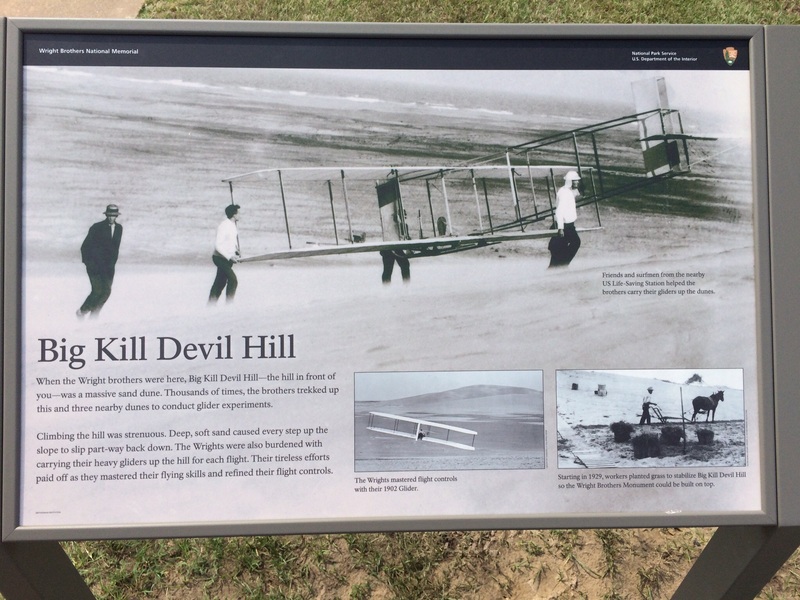 Recently I visited the Wright Brothers Memorial at Kitty Hawk. Aside from their epic vision and innovation, perhaps the most inspiring thing about their journey to flight is the thousands of times they carried their glider up that grueling sand dune in order to test it. Thousands of times they failed, went back to the drawing board, but kept showing up for their work. Pure perseverance and grit. Seems everyone is talking about grit these days. Ever since Angela Lee Duckworth’s thought-provoking TED talk about how it may be a primary contributing factor of high achievement, school boards, educational policy makers and well-intending parents have jumped on the grit bandwagon (http://www.ted.com/talks/angela_lee_duckworth_the_key_to_success_grit?language=en). Duckworth has defined “grit” as a combination of passion and perseverance, essential for overcoming challenging obstacles and staying the course. Duckworth’s research examines how IQ and innate talent may not be the be all, end all in determining success, at least in tasks requiring high achievement (this blog is not long enough to go into my distaste for the term “high achievement,” so let’s just ignore that for the time being). At the piano, grit can be a great thing. There are some passages that require thoughtful repetition. Without tenacity and perseverance, most of us could never learn a great work of music at a level that allows us to express our artistic ideals. But blind grit without stopping to reflect, experiment, challenge our ideas and repeatedly examine our goals isn’t the answer either. Let’s say, for example, that there is a hypothetical 12 year old trying desperately to learn Beethoven’s Pathetique Sonata. She is incredibly intense and eager, tense physically, and practicing on an instrument that doesn’t provide much in the way of aural feedback. She has lots and lots of grit and keeps doing it over and over and over until her wrists hurt. She doesn’t have much guidance, but she persists. She plays it with tons of fire, passion and determination, quite hellbent to get it. What happens in this scenario? She learns that while she can accomplish a great deal with sheer grit, she would have benefited from taking a step back, a deep breath, and seeking clarity. My dispute is not with “grit” per se. I’m actually a person with a tremendous amount of grit. It has served me well at times (most recently while enduring chemo). It has also been the source of much difficulty in my life (see hypothetical scenario above). It’s all about balance and self-knowledge. When we see ourselves clearly, we can better analyze whether we need to develop grit or learn to step back and not force certain processes that simply take time and thoughtful work. That said, sometimes it just takes pure grit. Sticking with something until you break through that plateau (recent experiences in exercise come to mind for me). Grit is all about being willing to fail, countless times. And no, I wouldn’t be the person I am today without that fierce amount of grit that I inherited from a very hardworking farm family (Thanks, Mama!). But sometimes, it’s important to explore and try new things. It’s critical to recognize when something is not working and be flexible about the outcome. Grit works in tandem with other qualities that are just as essential. So here’s to a new academic year filled with just the right amount of grit.